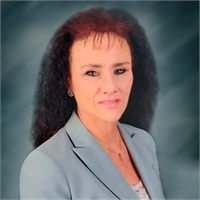 Ms. Kupsc joined the firm in mid-2017 bringing with her extensive experience in administration and customer service with over 20 years of experience. She is responsible for all aspects of administrative operations by making contributions to productivity at all levels of the Firm. She facilitates a broad range of administrative support and is the primary point of contact for internal and external constituents on all matters pertaining to the Principal and Owner of the firm, Michael Devlin. In addition to supporting Mr. Devlin, she also is the Office Manager of the Firm’s headquarters, located in Boston, ensuring that the Main Headquarters runs efficiently and effectively, as well as coordinating with all the other offices. Ms. Kupsc started her career as the Executive Assistant and Investigative Researcher of corporate crime, anti-terrorism and organized crime cases for Vance Investigations in Braintree, MA. Most recently, she was the Executive Assistant for the CFO at The Saint Consulting Group, Hingham, MA; a company specializing in winning land use cases. Mary attended Bridgewater University in Bridgewater, MA with a major in Business and an emphasis on Business Communications. Ms. Kupsc is a Notary Public, actively involved in the Special Olympics, Wounded Warrior Project, Relay for Life, Council of Aging, and The Purple Project.